An often overlooked aspect of World War II is the war as seen from the enemy side. 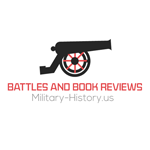 There have been a plethora of books published about the snail’s eye view of the war from the Allied side from intimate unit histories like “Band of Brothers” to collections of oral histories. There is an absolute dearth of such works on the side of the Axis powers in English but also in their native tongue at least as far as German goes to my knowledge. The facts: the book is 320 pages of text split between two books and 13 chapters with an introduction and postscript for each book. D-Day Through German Eyes is a collection of interviews conducted by the grandfather of the editor. These interviews were conducted ten years after the D-day invasion. The editor’s grandfather was a Wehrmacht journalist who wrote for German Army publications during the war. In the spring of 1944 he did a tour of the Atlantic Wall, as the German forts on the coast were named. Ten years later he attempted to track down as many of the soldiers he interviewed in 1944 as possible to gather their experiences on the day of the invasion. These interviews were never published until the editor found them in his grandfather’s papers and prepared them for publication. This book is the result of those efforts. The chapters in the first book are geographical as there is one extensive interview for each of the five invasion beaches. Book 2 is more of a shotgun blast as they are essentially the remaining interviews that were found. The book is a treasure for Americans as we are not used to hearing about the views of the other side, especially in regards to World War II and the experience of the average soldier. What makes the book so interesting from a historical perspective is that they come from a point of view that is at best alien to most English speakers and that the veterans interviewed are more than likely more candid in these interviews than they would have been if speaking to a former enemy. The interviews remove the mask from the oft caricatured Wehrmacht soldier and put a human face on the German army that is often missing in most English language histories of the war. I actually wish there were more books like this to provide a more rounded picture of the combatants in World War II. In fact, I would be interested to see a book like this that interviews former Imperial Japanese soldiers as well. I highly recommend this interesting and very readable volume.